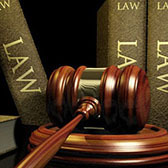 Use of our law office's firm's website is purely voluntary. It is here to provide information for existing and prospective clients. If you are unhappy or dissatisfied with any component herein, your sole remedy is to leave the site immediately. We shall at no time be held responsible for the accuracy or recency of any resource or content. If you choose to use the website, you will be agreeing to abide by all of these terms and conditions. We reserve the right to modify, edit, alter, change, add or remove, and update portions of these Terms of Service at any time, and change concurrently the "Last Updated" date that appears atop the page. Such revisions shall become effective immediately. It is solely your responsibility to review these Terms of Service prior to each use of the website. By continuing to use the Site, you agree to any and all changes. Your continued and ongoing use of the website, at the present time or after the posting or any revisions to the Terms, shall indicate complete acceptance by you of such revisions. We reserve the right to change, suspend, or discontinue any aspect of this website at any time without prior notice. We may also impose restrictions on certain features and services or limit your access to specific areas of content without rendering any prior notice and without incurring any liability. The content contained herein is intended for your personal, non-commercial use. All material published on this website, including, but not limited to law articles, is protected by federal copyright, and wholly owned or controlled by the firm, unless otherwise explicitly stated. You shall abide by all additional copyright laws, postings, notices, information, or restrictions contained herein. As such, you may not modify, edit, publish, transmit in part or in whole, participate in the unauthorized transfer or sale of, reproduce, create new works from, distribute, perform, display, or in any way exploit, any of the content contained herein. It is permissible for you to download one version of any article or file on your personal computer for your private, non-commerical use, provided you maintain all requisite copyright and property ownership notices. Copying or storing any content for any commercial or public use is prohibited. Further, we shall not be held responsible for any errors, omissions, or inaccuracies contained in any content furnished by a third-party provider such as news or wire services. The terms contained herein have been crafted in and shall be construed and enforced in accordance with the laws of the Commonwealth of Massachusetts. Any action to enforce them shall be brought in the federal or state courts located in the City of Norwell. You agree to report any copyright violations in an expeditious manner. In the event you believe to have a claim of copyright infringement with respect to material published herein, please e-mail us.